So You Don’t Get Stuck With A Bunch of Unpleasant Surprises! Choosing the right home inspection or environmental testing company can be difficult. Unlike most professionals you hire, you probably won’t meet your home inspector until your appointment. Furthermore, different inspection companies and different home inspectors have varying qualifications, equipment, experience, reporting methods, and pricing. Ultimately, a thorough home inspection depends heavily on the inspection companies procedures and the individual home inspector’s own effort. If you honor Trademark home Inspection, LLC by permitting us to inspect your home, We guarantee that we will give you our very best effort. Weekend Appointments Fill Up Fast, Schedule Now! Including: Mold Testing, Radon Gas Testing, Indoor Air Quality and More! More than 150 5 star reviews online! 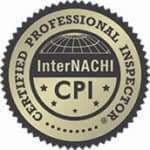 EXPERIENCED – All of our home inspectors are trained by the International Association of Certified Home Inspectors and follow The InterNACHI Standards of Practice when inspecting your home. We have collaboratively completed thousands of home inspections to provide you with the highest quality inspection possible. We are so confident you will be happy with your inspector, We offer a 100% Satisfaction Guarantee. If for any reason you aren’t satisfied with the on-site inspection or your home inspector, prior to getting your final report, just let us know. We will eradicate any issues and make things right – or you don’t pay a penny. PROTECTION – We understand that purchasing a home is an expensive investment to just to have everything fall apart. That’s why we’ve developed a Buyer Protection Guarantee. Our guarantee ensures that if for some reason the first home we inspect for you doesn’t go to the closing table, we will give you $100 dollars off of a second home inspection – As long as the second home inspection is scheduled within 30 days of the original inspection. WARRANTIES – We have partnered up with Residential Warranty Services to include FREE with every Full Home Inspection: A 90 day limited home warranty, RecallChek for Appliances, A 5 year Platinum Roof Warranty, Sewer|Gard for underground sewer and water lines, Mold|Safe for new mold growth, and a Radon Protection plan for those we have performed radon gas testing for. CONVENIENCE – We make it convenient to request your home inspection and environmental testing services 24/7 online in real time via our online scheduler. Rather talk to someone? Not a problem we have a full office staff ready to serve you from 9:00am through 7:00pm 7 days a week just call 734-331-3269 and one of our friendly client care-coordinators will be glad to assist you. Tyler was great - he was cheerful and helpful as he completed an impressively thorough property inspection. I was referred by a friend of mine. We worked with Jim, and were very pleased. They were able to schedule quickly, and I appreciated their confirmation email. Jim was accommodating, as we had a sewer inspector, and two other contractors doing quotes at the same time. The report was thorough, and I was happy with write up. 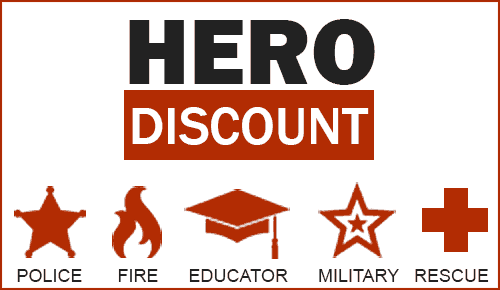 I appreciate their veteran discount, and that they employ veterans. I've had the pleasure of working with Trademark Home Inspection for the past few months and can't say enough about their customer service, professionalism, and willingness to go the extra mile to help their clients. Their inspections are thorough, very detailed, and easy to understand. My clients become huge fans of Trademark once they've used them. Please don't waste any time searching for an inspection company... this is it!! Jim did an amazing job of going above and beyond in answering my questions and making sure I was understanding of everything within the inspection. I would recommend this company to anyone, they were available next day and very professional! Jim was our inspector he went through the house with a fine tooth comb, and at the end of inspection he was very descriptive of the problems. I highly recommend him as anyones next home inspector. During a home inspection in Livonia Michigan, the inspector while inspecting the crawlspace finds a rotted beam with possible termite damage. During a home inspection in Taylor Michigan, the inspector while inspecting the exterior of the home finds signs of foundation issues. During a home inspection in Canton Michigan, the inspector while inspecting the roof discoveres a gutter drainage issue. During a home inspection in Belleville Michigan, the inspector while inspecting the interior discovers improper egress at the bedroom windows. Adrian, Allen Park, Ann Arbor, Auburn Hills, Belleville, Berkley, Birmingham, Bloomfield, Bloomfield Hills, Brighton, Brownstown, Canton, Clarkston, Clawson, Chelsea, Carleton, Commerce Township, Dearborn, Dearborn Heights, Detroit, Dexter, Dundee, Ecorse, Erie, Farmington, Farmington Hills, Ferndale, Flat Rock, Garden City, Gibraltar, Grosse Ile, Grosse Pointe, Harper Woods, Hazel Park, Highland Park, Howell, Hudson, Huntington Woods, Huron Township, Ida, Inkster, Keego Harbor, Lambertville, La Salle, Lathrup Village, Lincoln Park, Livonia, Luna Pier, Madison Heights, Manchester, Maybee, Melvindale, Milan, Monroe, Morenci, New Boston, Newport, Northville, Novi, Oak Park, Petersburg, Pittsfield Township, Pleasant Ridge, Plymouth, Pontiac, Redford, River Rouge, Riverview, Rochester, Rochester Hills, Rockwood, Romulus, Royal Oak, Saline, Southfield, Southgate, South Lyon, Sterling Heights, Sumpter, Taylor, Tecumseh, Temperance, Trenton, Troy, Walled Lake, Waterford, Wayne, Warren, Willis, West Bloomfield, Westland, Wixom, Woodhaven, Wyandotte, and Ypsilanti. Schedule Your Inspection or Testing Online Now! You can schedule you home inspection or environmental testing services online 24 hours a day 7 days a week!